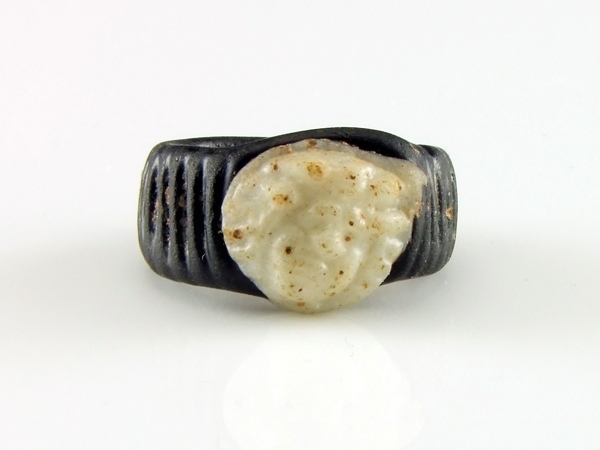 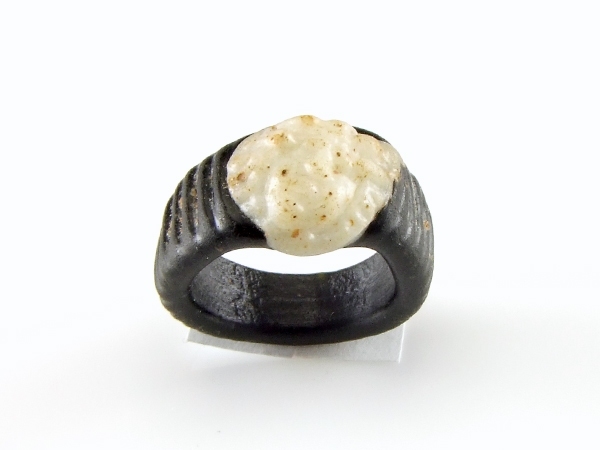 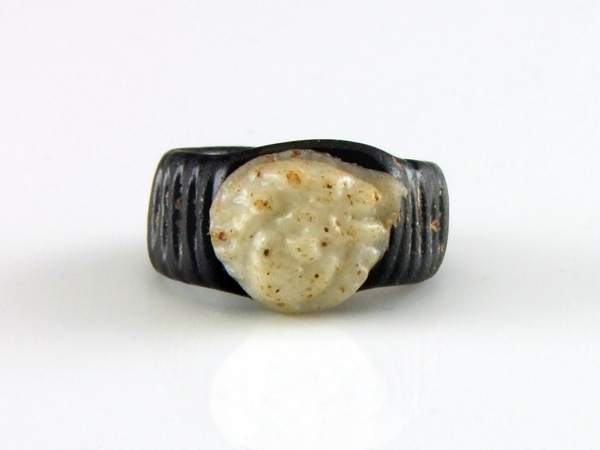 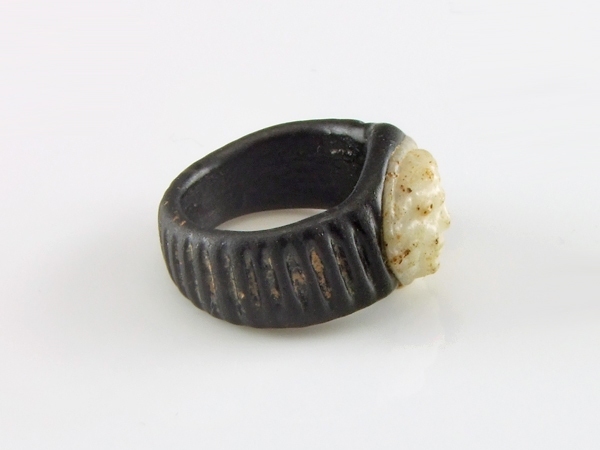 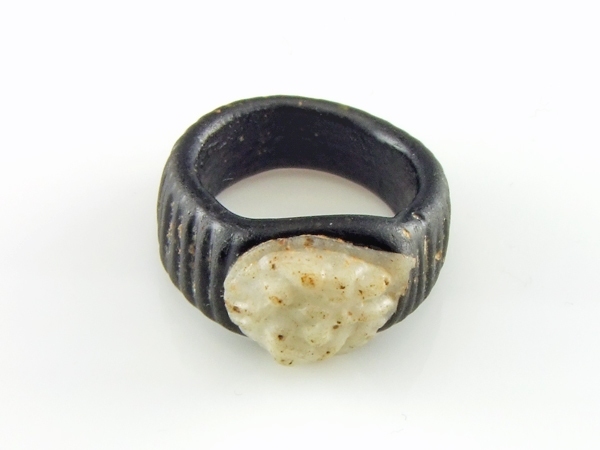 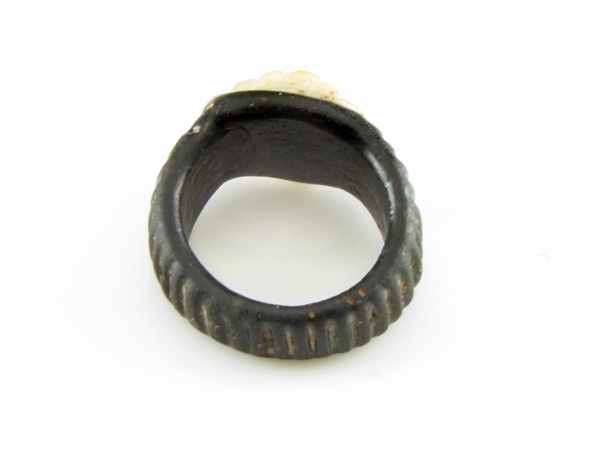 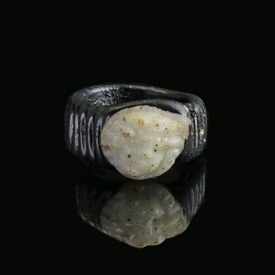 Roman glass ring, black ribbed glass band, decorated with a Medusa cameo in white glass. 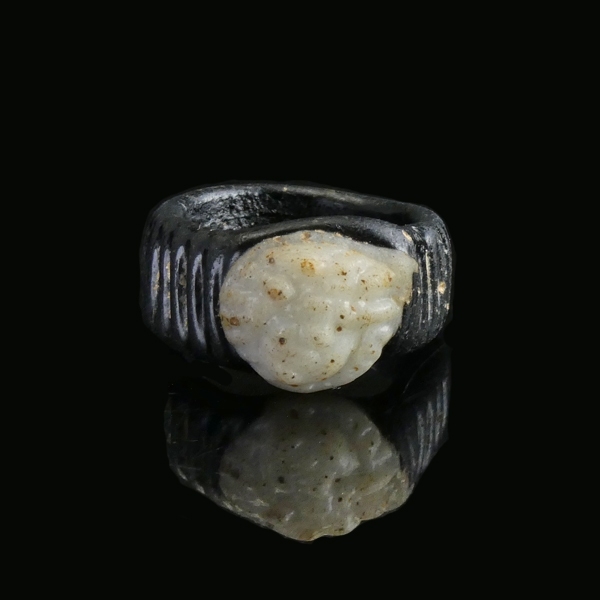 A rare and attractive piece. 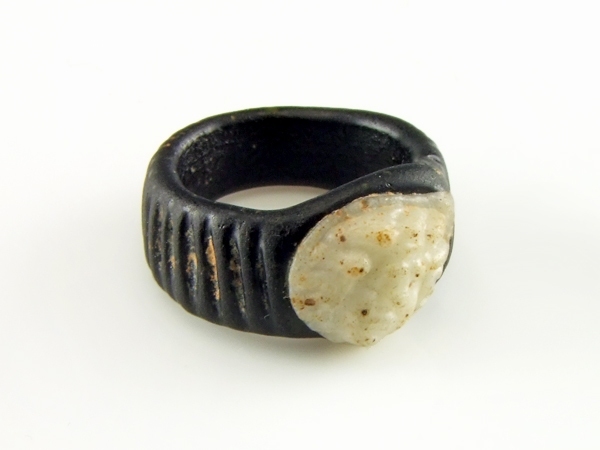 In perfect condition, intact.